Roll Forming by Lecoplastics Inc.
Leco provides roll forming services to a vast customer base. Roll formed parts with high quality, competitive pricing and knowledgeable customer services has allowed Leco to become a premier roll forming supplier in the marketplace. What's The Difference Between This Roll Forming? Better Profits, Better Quality and Practically NO Tooling Costs! 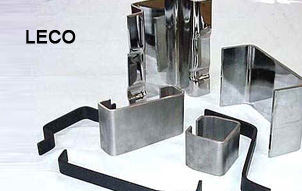 Leco is one of the world's leading suppliers of roll forming parts and services to the global market. 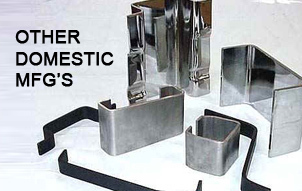 We design and manufacture a wide range of custom roll forms. 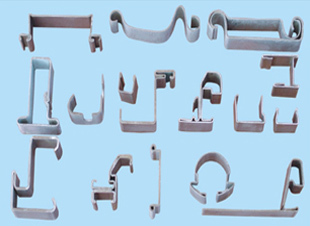 Our manufacturing facility in mainland China has the ability to product a vast array of shapes. Our secondary services and added value helps our customers compete in today's market place. This approach brings the competitive edge required to move forward with production development and production. Allow Leco's 60+ years of experience work for you! Reduced or FREE Tooling on custom profiles. Competitive production costs when compared to other domestic roll forming companies.